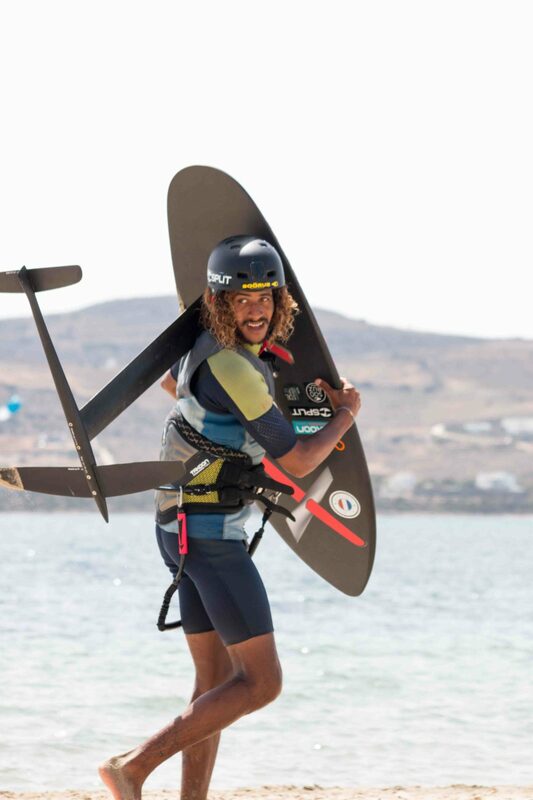 At Paros Kite Pro Center we offer Equipment Storage service to our customers that want to keep their equipment with us. Our facilities offer either personal boxes with lots of space to keep all your equipment either for the single Kiter or the whole family. For those with less equipment we also offer open shelves to store their Kites and Boards and not to have to worry about carrying their equipment to the spot every day. Don’t carry your pump, you will always be able to use one of ours. Storage service is only offered in combination with our rescue service. We believe it is good for any Kiteboarder of any level to be covered with our rescue service that will be next to you in case of any emergency that may occur. equipment store include rescue service. Storage is for one person! 1 Week equipment storage "Family Box"
equipment storage include rescue service. Family box is for up to 2 adults + 2 Kids! 2 Week equipment storage "Family Box"
Interested in our Storage Service?